A stylish Gents wall clock, having the original painted dial with a substantial brass bezel and Oak surround. 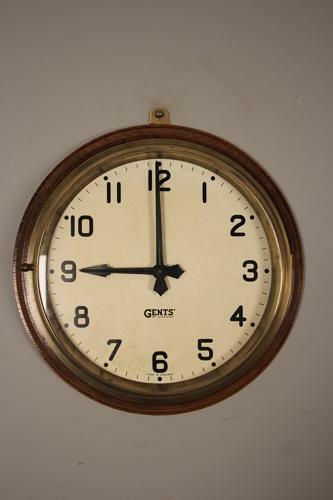 This clock converted to a quartz battery movement ensuring excellent and simple time keeping. In super condition throughout. English, 1920's.